A few clouds early, otherwise mostly sunny. High 51F. N winds shifting to SE at 10 to 15 mph.. Considerable cloudiness. Low 44F. Winds SSE at 10 to 15 mph. 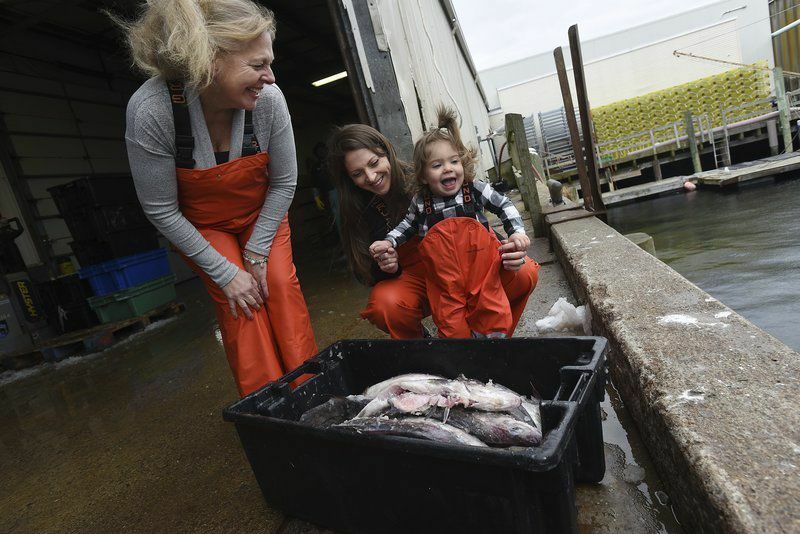 PAUL BILODEAU/Staff photoShelly Van Cleve, standing, granddaughter Bella Talbert, 1, and Bella's mom, Monica Van-Cleve-Talbert laugh as Bella does a fish-face while they check out a tote of fresh haddock Wednesday on the boat docks at the Cape Ann Seafood Exchange. The three generations are in town to buy Gloucester haddock for a new line of seafood at their Van Cleve Seafood Company, based in Virginia. PAUL BILODEAU/Staff photoShelly Van Cleve, standing, Bella Talbert, 1, and Bella's mom, Monica Van Cleve-Talbert watch seagulls from the boat docks. PAUL BILODEAU/Staff photoMonica Van Cleve-Talbert and her daughter Bella, 1, check out a fresh tote of haddock. PAUL BILODEAU/Staff photoShelly Van Cleve, standing, Bella Talbert, 1, and Bella's mom, Monica Van Cleve-Talbert watch seagulls from the boat docks Wednesday at the Cape Ann Seafood Exchange. The three generations are in town to buy Gloucester haddock for a new line of seafood at their Van Cleve Seafood Company. The woman-owned Virginia company will now carry Gloucester-sourced haddock from Intershell. PAUL BILODEAU/Staff photoShelly Van Cleve, left, Bella Talbert, 1, and Bella's mom, Monica Van Cleve-Talbert walk down an aisle toward the boat docks at the Cape Ann Seafood Exchange. When executives at Gloucester-based Intershell Inc. decided to ramp up the company’s presence at the Seafood Expo North America in March, they hoped at the very least to develop new relationships that could slingshot into additional sales. No fillers. No injected solutions. No chemicals. Nothing but the “absolute cleanest, highest quality seafood” would do. Come to Gloucester and see for yourself, they were told. 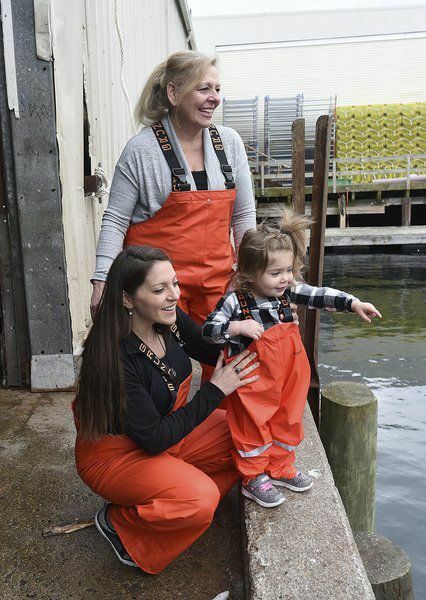 On Wednesday, three female generations of the Van Cleve Seafood founding family — Van Cleve, Van Cleve-Talbert and Van Cleve-Talbert’s 1-year-old daughter, Bella — spent the day in Gloucester. They toured the Intershell facility in the Blackburn Industrial Park before trekking down to the Cape Ann Seafood Exchange on Harbor Loop for a photo shoot to generate images to help promote the new line. The images they had in mind were something that could capture the essence of America’s oldest commercial seaport, something that reflected both the working nature and history of the port and the quality of the seafood that comes from the cold waters around Cape Ann. The perfect image, they thought, would include a working Gloucester fishing boat landing fresh haddock. Ragusa got in touch with Capt. Gus Sanfilippo of the F/V Capt. Dominic and asked if he and his crew were ready for their closeups. Late in the afternoon, after the Miss Trish II finished landing its haul at the exchange, the Capt. Dominic, hobbled by a fouled prop, still made its way around the breakwater and to the Cape Ann Seafood Exchange, its hold full of haddock. The Van Cleve family started their seafood company in a tiny wooden crab shack in 2001, preparing fresh seafood — Blue Crab Pie, homemade gumbo and jumbo lump crab-stuffed prawns among the dishes produced from family recipes. They added prepared foods, as well. 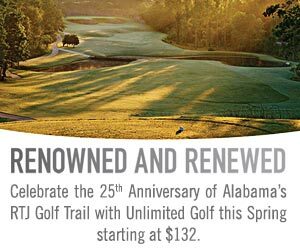 They expanded in 2004, adding a restaurant, gift shop and a growing line of frozen seafood items. In 2013, they decided they had to ramp-up production and distribution of their popular products. They appeared on QVC and Lifetime’s “Supermarket Superstars” and other food-related shows. They were mentioned in Oprah Magazine’s O List of Favorite Things. The word was getting out. Their products were in supermarkets, specialty stores and restaurants. They were a regional phenomenon. Now, they believe the new value-added line — which is steeped in wild-caught, domestic sustainable seafood and health-conscious ingredients — has the potential to make Van Cleve Seafood a national player and position it as a purveyor of the highest-quality, healthiest frozen seafoods. The company, she said, is about ready to launch the new line into 36 new stores next month — including two national retailers that Shelly Van Cleve declined to name. And it may not stop at food. The women running the show at Van Cleve also are considering seafood-based health and beauty products made from, among other items, haddock skins. And because of a simple conversation at the Seafood Expo, Intershell and Gloucester are becoming a big part of the story.